A high-five was a reward for participants who completed the 3-mile walk. Every year the team at Inova Loudoun raises money to support the American Heart Association. Usually, that effort involves activities like bake sales. On Saturday, they turned it up a notch. 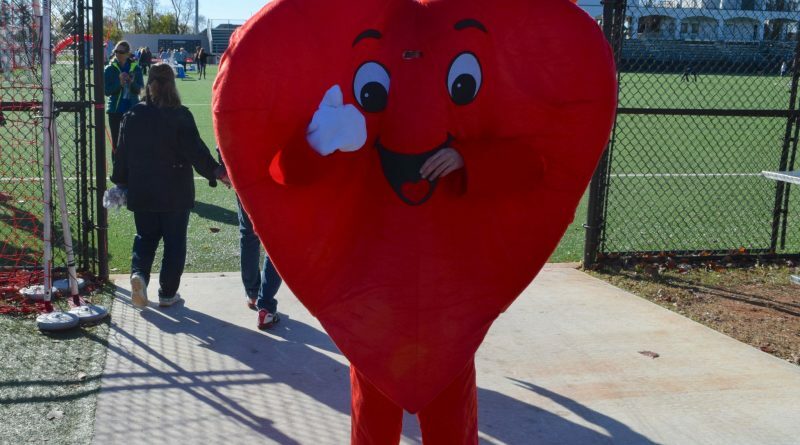 Inova Loudoun held its first Heart Walk at the Evergreen Sportsplex. 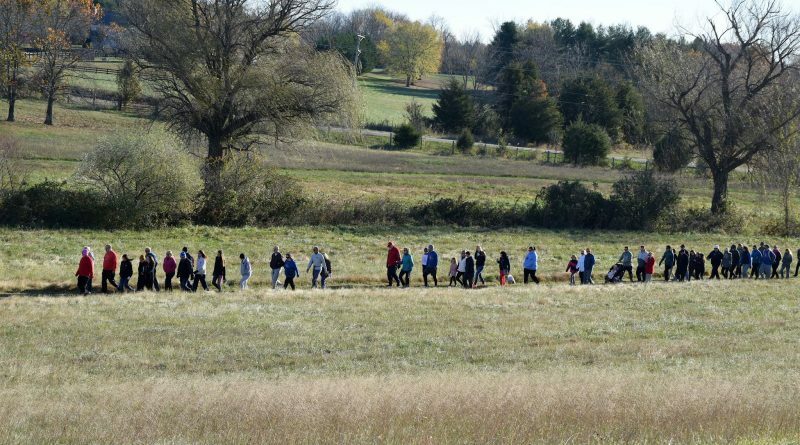 Participants braved chilly temperatures to trek about three miles through the fields around the youth sports center and enjoyed a health fair with area vendors. 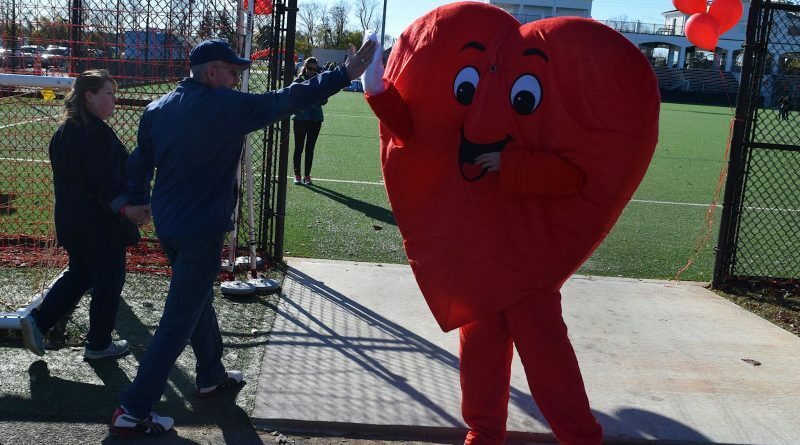 Crisp fall weather greeted participants at the inaugural Inova Loudoun Heart Walk on Saturday morning at the Evergreen Sportsplex near Leesburg. 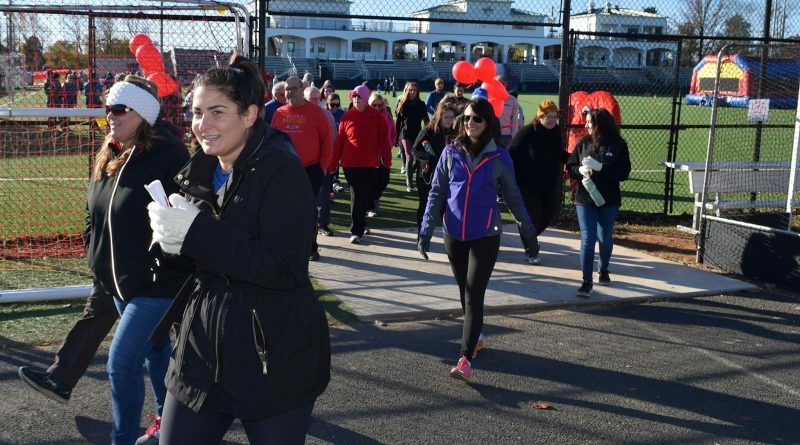 Participants in the inaugural Inova Loudoun Heart Walk cross a field near the Evergreen Sportsplex as part of their 3-mile walk to raise money for the American Heart Association. 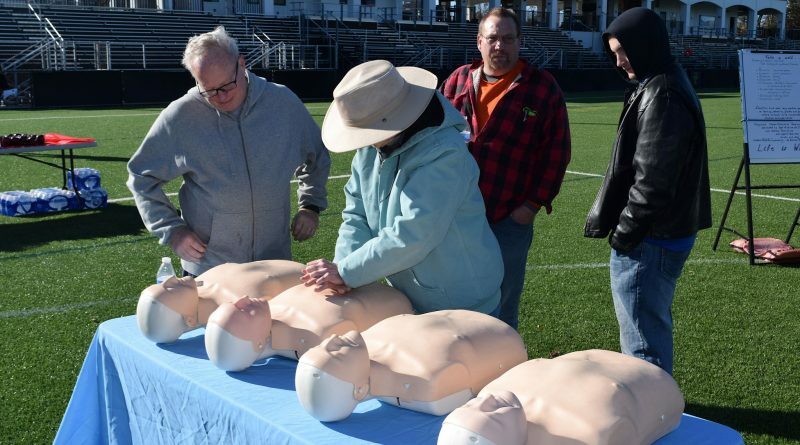 A health fair at the Evergreen Sportsplex included the opportunity to brush up on CPR skills.